iPad mini 2 with retina is likely to be my new device. Since 2013 it comes in a existence, i think that can be subject to be the predecessor given to iPad 3 and the leading iPad which is the iPad 4. Apple keep surprising use, as of last year 2018 we came across the iPhone XS Mas and it was all about homeless button. 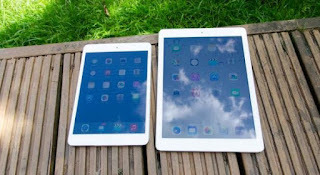 However, apple has now gave another sip of the iPad 2 but mini. Mostly, it welcome the same design with its predecessor although there's still things that can be differentiate with the iPad 2 and the iPad mini 2. If the iPad 2 has been your favorite over the prior years then you should know the difference after going through this post. Apple some getting that tick-tick from fans, so we also think that the company will never drive us to a new dimension of apple device design. The iPad mini 2 is figured from the large iPad 2 so there's no roller-coaster but cool difference is the size of the white body. The Screen is a bit small that the iPad 2 but you can still see the cam through the upside likewise the big iPad. Just watch the photo below for what am saying. Don't worry, buying a similar device which you have used before. As for me i have already feel the body of the two iOS device and the review keep showing that improved experience on iPad mini 2. The iPad mini 2 body is extremely gorgeous. The front glass is what put an eager to any body who would like to purchase one. Weather on silver or grey you good to make a choice. 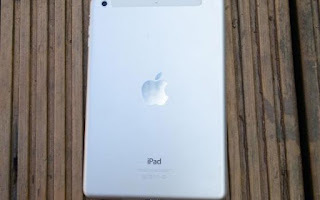 Apple also support the iPad 2 with simple aluminum uni-body of course it will definitely drag more attention. If you are truly an apple fan, they you feel the two device and check the thickness. iPad mini has thicker body than the bigger one at with 0.3mm thicker than its predecessor. Preferring the iPad mini 2 is something you should. One the underscore i will keep on alarming is the size, quite simple and handy. iPad mini 2 is extremely friendly just like i say earlier. The design gives you that comfy unlike the iPad with full screen body screen and if you are primary use the both device you although to underside the downside of the big iPad 2. Well, is that awful that the iPad mini 2 don't support the touch ID. Yeahs the iPad mini is smart but not on the touch ID. As an Apple user, we knew it that the touch ID is necessary in most cases. I can't really tell why the iPad mini 2 don't support this feature despite the goodness it welcome. Sometimes apple do their own things without customers self interest although the we hope to see the senor but the touch ID was denied even on iPad Air. Meanwhile if you think you are buy the device because of the sensor you will be disappointed at last. iPad 3 and later supports the fingerprint unlike the iPad mini 2. So is all about the home button only ? Am surprise to see the resolution with a new number. The resolution has automatically changed by apple meaning the resolution of the iPad 2 will never be the same with the new arrived iPad mini 2. at least we normally have something like 1,024 x 768 but it has been pushed more further which is 2,048 x 1,536. What are you saying ? good or bad. Majority has thank apple for this because this is one of the beautiful improved on iPad mini. We also understand that as the name goes mini, the pixel of this device will go higher which truly happened. iPad mini 2 comes with higher pixel density than the iPad Air (326ppi vs 264ppi). To me i thing the resolution is bigger even than the retina. iPad mini 2 has good performing system at least the 64-bit 1.3GHz dual-core A7 SoC is still in the same line with the iPad mini 3. The mini 2 is also without BaseMark OS II score of 1,158, the iPad mini 2 sailed past the Samsung Galaxy Tab S 8.4, but tablets such as the Sony Xperia Z3 Tablet Compact have now closed the performance gap, so it doesn't feel quite as special as it once was. Still testing the iPad mini 2 but actually we have found that iPad mini 2's score of 26,285 in our BaseMark X 1.1 graphics making it awesome indeed. The fastness is cool also there's some flagship device better than it though the mini got its best from apple. Process is one of the things we should consider any time we are buying smartphone. However, the iPad mini 2 comes with good processor, the M7 CO-PROCESSOR helps in monitoring the sensor of the iPad and even enable it to do cool performance we did like. The OnePlus 6T McLaren we review yesterday was great but you need to compare it with this iPad mini 2. Apple is such a company that always strive to make sure they work out some thing great. The iPad mini 2 batter is another good sort of enhancement which you are going to like. Apple has decide to make the mini 2 battery more better with a 6,471mAh battery. But that can be compare with OnePlus 6T Mclaren because there's a big difference between the OnePlus 6T and iPad mini 2. On our playback video, the iPad mini 2 took about 11hrs before getting a drop off just after the first charge. We did like it because the device worth it although some one might ask how is it when it comes to gaming but the fact is that the iPad is strong to have your day break. 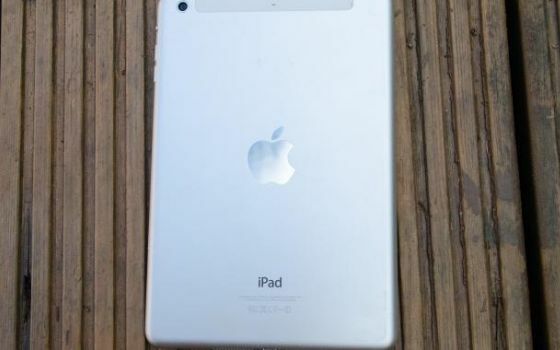 Apple iPad mini 2 camera ? what is new and how dose it work. Very sorry that apple lack the improvement on mini 2. There's no improved or upgrade as for the camera all still stick with the major big iPad 2. 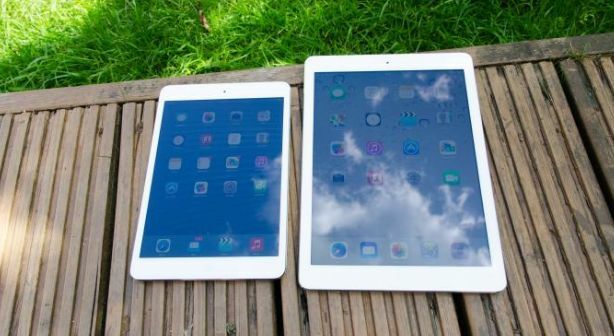 The iPad Air is likely to be the same megapixel with the iPad mini 2 that comes with 5-megapixel. So what is the consequence for the camera, not too bad but the camera is till good for your shot. 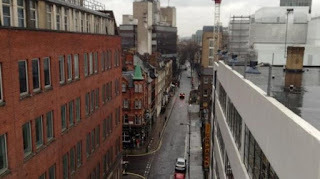 The quality of the taken photo below can tell you what we are saying about the iPad mini 2. Certain, it looks unclear after taking a shot. It depends on your test but just bear it that mini 2 has no upgrade. It suite its shot may be any time you are spending your day light but when it comes to night the mini 2 is not pretty good. As for the videoing shot, the phone gives you a resolution of 1,920 x 1,080 with a Full HD resolution. Quality is pretty good in brightly lit areas, with a decent amount of detail in the frame. Is good to for occasional use though not everybody might go for that. Currently, the iOS version might be having or seeing is the apple iOS 7 but as for the latest version iOS which is the iOS 11, you might not have that on your iPad mini 2 although is now available. If you manage to get the iOS 11 running on iPad mini 2 then you are lucky. Of course the new operating system upgrade gives you that doubt able features. There's no problem about the software but do remember that at Apple will at some point stop its software support for the mini 2. This isn't a major cause for concern, but worth knowing. The 4G is another real stuff we like here. Welcomes 4G Wi-Fi + Cellular version which made the smart iPad mini 2 more smarter In fact i don't a need any other extra WiFi standard to connect online after the iPad mini is blazing the net with its 4G. I don't really know your location but if you using the upgraded iPad mini 2 which also has the 4G chip updated then you don't need to worry about your network. 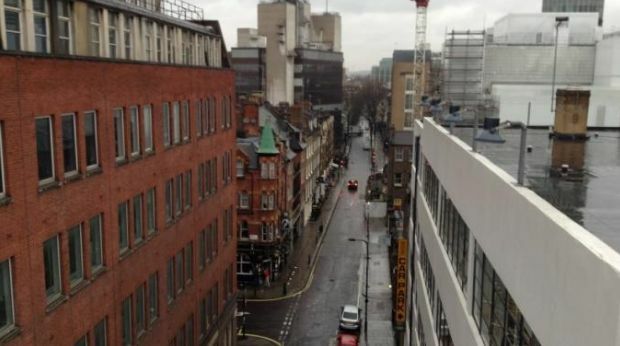 If you stays in UK then you should be lucky about this. As for the WiFi, is comes with dual-band 802.11n adapter.